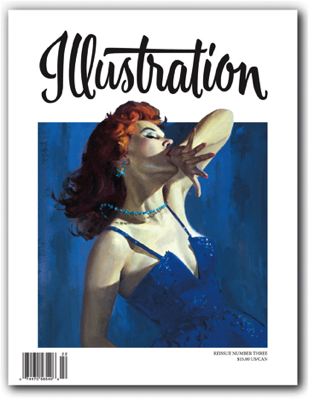 In this re-issue: The gorgeous femme fatales of paperback book cover artist Robert Maguire, best known for his crime and romance cover paintings of the 1950s and '60. 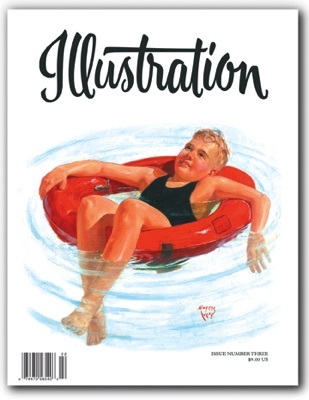 Next up we feature the Saturday Evening Post cover illustrations of Eugene Iverd. Book reviews, exhibitions, and more! 80 pages in full color. $15.00 U.S.